Designer Ralph Lauren on runway at the Ralph Lauren Collection Fall 2010 Fashion Show during Mercedes-Benz Fashion Week at 275 Hudson Street on February 18, 2010 in New York, New York. 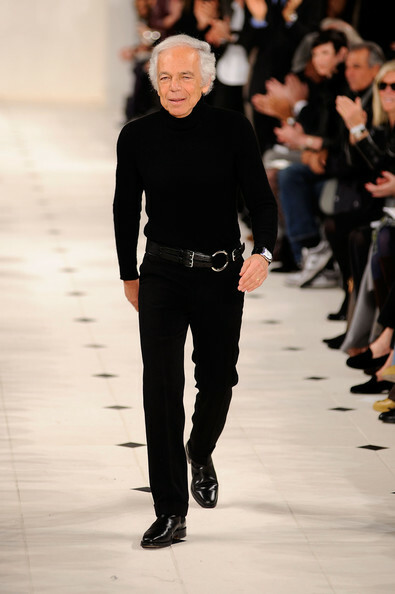 Ralph Lauren paired his all black look with a leather belt. Ralph Lauren walked the runway in a patent leather pair of oxfords.